We have just launched our Kickstarter campaign to raise money to release and finish our “Dream A Little Dream” album. You can go to www.kickstarter.com to make a donation. What is kickstarter? It is the largest crowdfunded platform to help bring creative projects to life. People who back Kickstarter projects are offered tangible rewards and special experiences in exchange for their pledges. You can give as little as $10 and it is very helpful. Right now, we are 10% funded, we need your help to reach 100%. Projects are only funded if you raise 100%. Thank you for believing in us! Please message me if you have any questions. 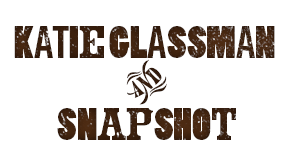 This is the last 2013 Denver show for the Katie Glassman and Snapshot Quartet. With Eric Moon, Greg Schochet and Charlie Mertens. Don’t miss it! You’ll hear some tunes from our new upcoming record “Dream A Little Dream,” as well as seasonal swing tunes such as “Baby Its Cold Outside,” “Let It Snow,” “Dance of the Sugarplum Fairies” and many more. (This is not a holiday show, though we will be honoring several holidays with a tune or two). We sincerely hope to see you there so that we can let you know how exciting 2014 is looking! We just returned from a wonderful show in Rifle at the Colorado Community College Art Share. What a wonderful audience and incredible reception. Thank you for joining us Rifle! Over the past few months, I have spent many hours working on the album between artwork, photos, printing, copyrights, making the kickstarter video etc. Every single individual I’ve worked side by side with was incredible. Special thank yous to: Kit Hedman, Anna Davis, John Macy, Randy Leroy, Doran Handman, National Teleprinting, Discmakers and my wonderful and talented band: Eric Moon, Greg Schochet and Charlie Mertens!